Michelle Peebles of Broomfield, Colo., and her two children made the fairy garden following the death of her daughter Amanda Peebles, 12, who died of complications following a rare form of cancer. A set of little wings. Ceramic fountains. Tiny versions of ornate cottages and brick walkways fit for the English countryside. 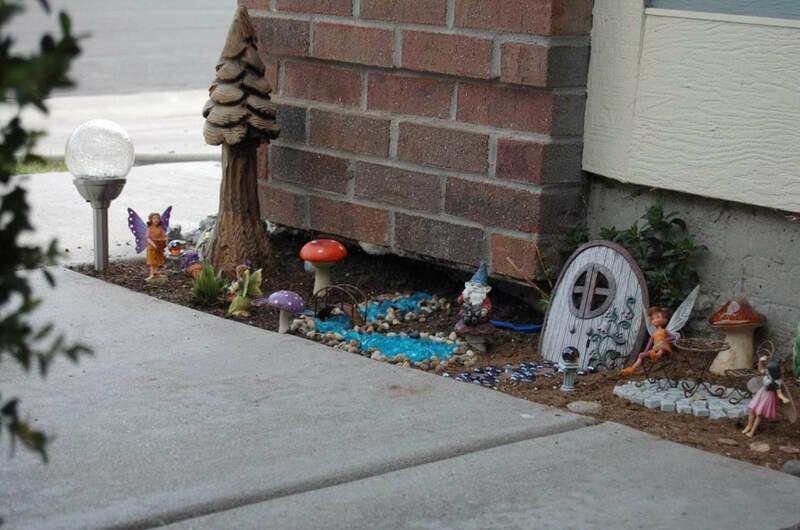 These are just some of the whimsical decorations that adorn fairy gardens. When such miniature decorations are paired with similarly diminutive plants, these gardens – aimed at luring fairies – can captivate the imaginations of children and adults alike. “I think it is in our DNA,” said Brenda Williams, a master gardener at Pesche’s Greenhouse, Floral and Gifts in Lake Geneva, Wisconsin. For the last four years, Williams has been teaching classes to 4H students and through the University of Wisconsin’s continuing education program on how to create fairy gardens. We have the itch to garden, she believes, to satisfy some lingering part of our hunter-gatherer past. “That gene is still very present in modern people who no longer need to garden,” Williams said. And designing a little fairy abode turns a garden into “a living artwork,” she said. Fairy gardens’ appeal is similar, perhaps, to that of Japanese bonsai, the ancient practice of grooming small trees inside containers. In 1893, fairy gardens surged in popularity in the United States because of the Japanese Pavilion at the Chicago World’s Fair. No two fairy gardens are the same. Some people use creative containers, especially antiques – a wash tub, bird cages or pickle bottles. “I tell people to imagine something in your head and try to recreate it in a pot or whatever,” Williams said. The gardens can be designed underwater or with silk plants if the creator is more of a “set and forget” type of plant person, Williams said. 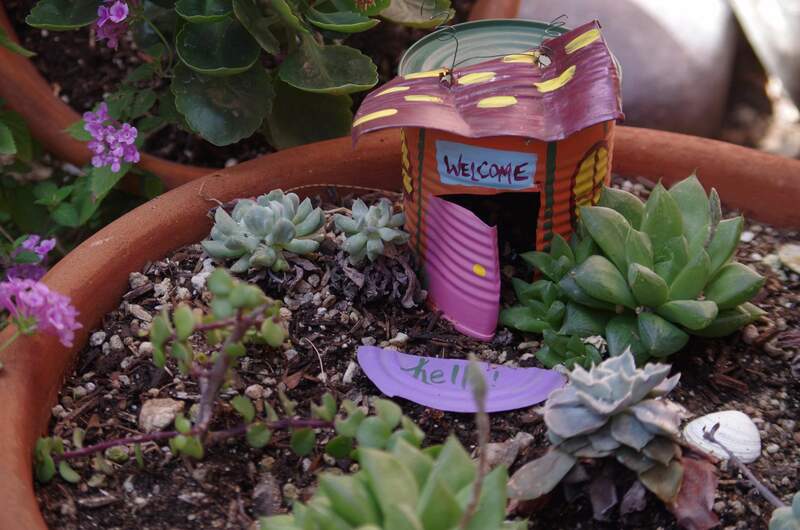 Fairy gardens are also part of a larger DIY movement. Victoria Hannley, a 39-year-old mother of three who runs the DIY blog “Dazzled While Frazzled,” made her first fairy garden with items left over after her daughter’s birthday party and some empty soup cans from the kitchen. Yet fairy gardens also can take on more solemn meanings. The 15-foot-wide fairy garden on the side of Michelle Peebles’ home commemorates her daughter Amanda, who died at age 12 from complications from a rare form of cancer. Peebles, 46, of Broomfield, Colorado, planted the garden two years ago with Amanda and her other children. “She helped me plant some snapdragons and she used to dig for roly polies (beetles) there,” Peebles said. There are still snapdragons in the spot, as well as a little fairy home and seashell walkway. Amanda’s digging tools are still there. “It’s just a little peaceful place, and it’s incorporated with her little stuff,” Peebles said.